The Kabola KB Ecoline Series is a series of automated, carbon-free oil-fired boilers of 8-80 kW. 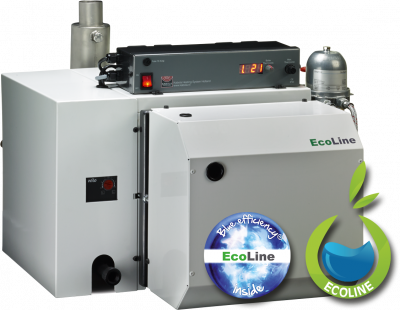 The KB Ecoline boilers as well as central heating boiler with hot water regulation and as combi boiler available. Thanks to the highly efficient Blue Flame Technology, there is no soot emission, lower fuel consumption and lower power consumption. The KB-Series can be connected to the central heating, hot air, floor heating and even air conditioning system. Thanks to the soot-free operation, the system is easy to maintain.